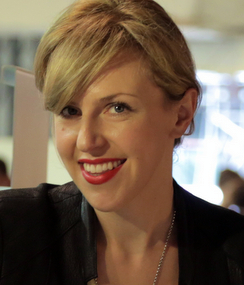 Alexandra Daisy Ginsberg is an artist, designer, and writer. Daisy develops experimental methods to question our values and visions around design, science, and technology. Her current focus is synthetic biology – an emerging discipline that involves engineering and designing living matter to make useful products. Working at the cutting edge of the field since 2008, she collaborates with scientists, engineers, artists, designers, policy makers, and industry to articulate the technology’s possibilities, imagine applications, and better understand their implications. To do this, she makes objects, fictions, workshops, and curates. Spending time with designers, synthetic biologists, and innovators around the world who promise they can deliver a better future, Daisy asks “What is better?”, “Whose better?”, and “Who gets to decide?” Her PhD research, ‘Better: Navigating Imaginaries in Design and Synthetic Biology to question “better”’ at London’s Royal College of Art (completed in 2017), explores these dreams of better. 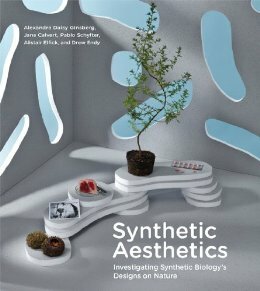 Alexandra Daisy curated ‘Synthetic Aesthetics’ (Stanford University/University of Edinburgh, 2010–2013), an international research project between synthetic biology, art and design, and is lead author of “Synthetic Aesthetics: Investigating Synthetic Biology’s Designs on Nature” (MIT Press, 2014). She led the curatorial team for Grow Your Own… Life After Nature, a flagship Wellcome-funded exhibition about synthetic biology at Science Gallery, Dublin (October 2013–January 2014). ""Daisy Ginsberg is an experienced speaker, whose projects open up a creative space to imagine the potential scientific triumphs and challenges on the horizon. Her talks raise intriguing questions about the scientific process of synthetic biology, the delegation of creativity, our relationship to designed matter, and the social, ethical and cultural implications of emerging technologies. Notable talks include TEDGlobal, PopTech, Design Indaba and DLD.”"
In this book, synthetic biologists, artists, designers, and social scientists investigate synthetic biology and design. After chapters that introduce the science and set the terms of the discussion, the book follows six boundary-crossing collaborations between artists and designers and synthetic biologists from around the world, helping us understand what it might mean to ‘design nature.’ These collaborations have resulted in biological computers that calculate form; speculative packaging that builds its own contents; algae that feeds on circuit boards; and a sampling of human cheeses. They raise intriguing questions about the scientific process, the delegation of creativity, our relationship to designed matter, and, the importance of critical engagement.